It’s been chilly, damp and drizzly in Portland lately. 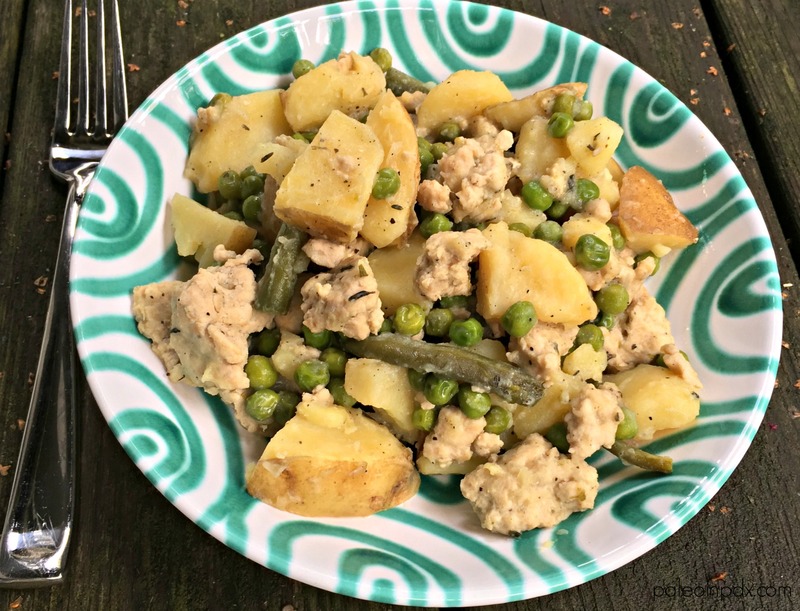 With weather like this, I want nothing more than a warm and hearty one-dish meal like this herbed turkey potato stew. 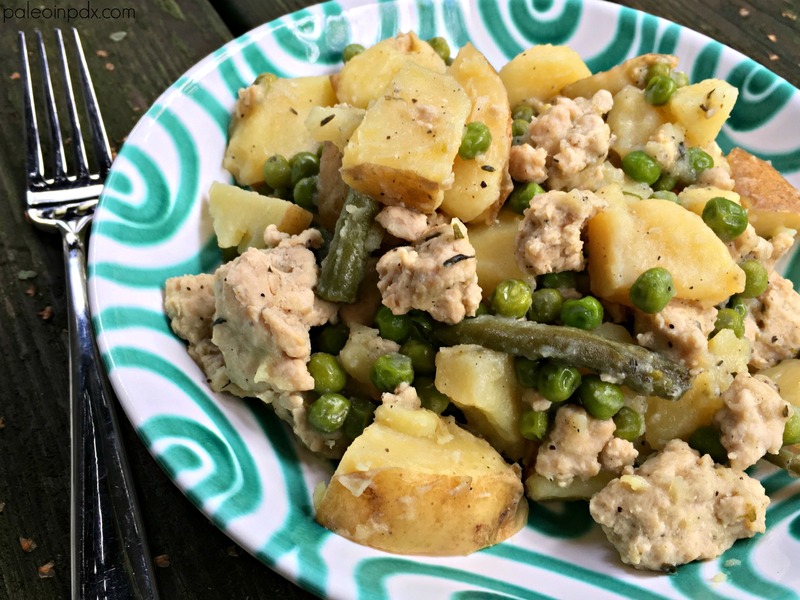 It tastes like a mixture of Thanksgiving and shepherd’s pie, and is straight up healthy comfort food. It’s an especially great meal to have after a hard training session since it’s full of good starchy carbohydrates. If you’re not a regular potato eater, add more sweet potato or use butternut squash instead. Make it what you need it to be for you and most importantly, enjoy! On another note, I was on live TV last week! I had the opportunity to go on KATU Afternoon Live here in Portland and make my pumpkin caramel bars. It proved to be a lot of fun and looks as if I’ll be a guest again in the near future. Watch the replay HERE. UPDATE: I also went on KATU Afternoon Live and made this stew recipe! Watch the replay HERE! Heat large pot over medium heat and add the olive oil or butter. Once heated, add the onion and garlic, and sauté 1-2 minutes. Next, add the ground turkey and season to taste with sea salt and black pepper. Continue cooking until the meat is mostly browned (about 5 minutes), breaking up the large pieces with a wooden spoon or spatula as needed. Next, mix in the yellow potatoes, sweet potato, broth and thyme. *Note: if using dried tarragon, add now. Add more sea salt and black pepper to taste. Stir well and reduce heat to medium-low. Cover pot with a lid and allow mixture to cook for 10-12 minutes, stirring occasionally. After 10-12 minutes, add the fresh green beans and frozen peas. If needed, add a bit more broth. Cover again and cook 5-6 more minutes or until potatoes and beans are tender. Stir in the fresh tarragon. Taste and add more sea salt and/or black pepper, if desired. Serve.